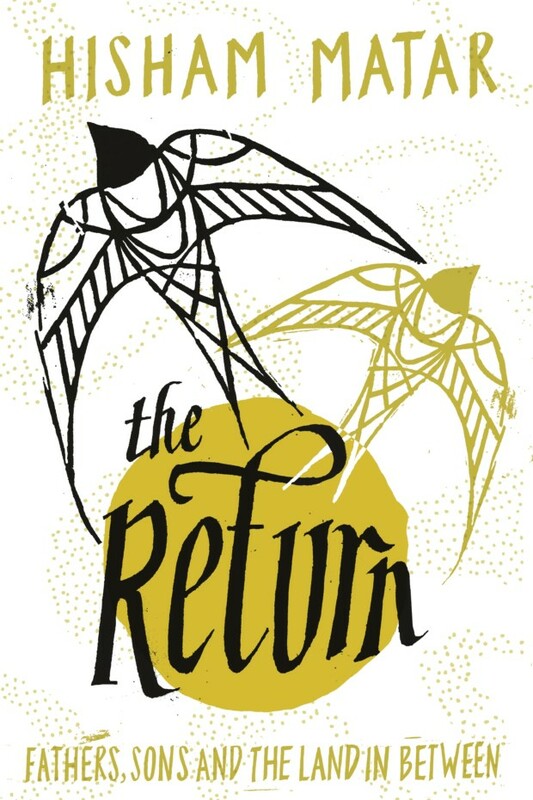 In the Return: Fathers, Sons, and the Land in Between, author Hisham Matar chronicles his quest for and reconciliation of his Libyan identity as told through his crusade to unearth the details surrounding his father’s disappearance and incarceration. Matar’s memoir encompasses familial narratives, personal anecdotes, penned testimonies, and Libyan history spanning from the Italian occupation to post-Arab Spring Libya in 2012. Although published in 2016 – enough time to recognize the failure of democracy in Libya after the Arab Spring – Matar’s narrative concludes on a hopeful note, with only a slight nod to the political downturn looming in Libya’s future. Born in America while his father worked for the Libyan mission to the United Nations, Hisham Matar spent his childhood in Nairobi and Cairo after being exiled from Libya, but permanently settled in the United Kingdom following boarding school. His father, Jaballa Matar, was a wealthy and influential Libyan dissident who organized a strong opposition to Muammar Qaddafi’s regime. His disappearance at the hands of the Egyptian and Libya security services rattled nineteen-year-old Hisham Matar and his family, and the apparent lack of closure surrounding his fate represents an unnerving yet pervasive presence in Hisham Matar’s life in the decades since March 1990. Evidently, Hisham Matar’s struggle regarding his identity is directly tied to the absence of a true “home” and of his father. Matar’s dichotomous identity crisis, represented as feelings of longing and hope versus grief and helplessness, is greatly accentuated through the weaving of parallel timelines beginning with Hisham Matar’s childhood and his return to Libya after thirty-three years, respectively. Moreover, the central theme of Hisham Matar’s questioning identity is shaped by the fact that Libyan politics are a familial affair, a motif underscoring the general premise of Matar’s quest for truth; all of his family members – including his grandfather, mother, and countless uncles and cousins – present in the narrative engage in some manifestation of political activism, discourse, or resistance, whether knowingly or not. Hisham Matar’s search for his father’s fate and his own identity throughout the Return highlight the constraints and consequences of authoritarianism on the lives of Libyan citizens. Central to Matar’s quest to uncover the true fate of Jaballa Matar is Seif al-Islam Qaddafi, Muammar Qaddafi’s second son. Before the toppling of the Qaddafi regime and his homecoming, Matar engages in dialogue with Seif Qaddafi and his proxies. Qaddafi’s oscillations between helping Matar and withholding information confuses and frustrates Matar, ultimately adding to the hardships Matar encounters when searching for his identity and his father. Though the true fate of Jaballa Matar remains unknown, Hisham Matar expertly paints a personal account and family history shaped by the political themes of authoritarianism and opposition movements, as manifested through political science literature and theories regarding their implications. In 1969, a twenty-seven-year-old colonel deposed the Libyan monarch, King Idris, in a coup backed by the military. This colonel, Muammar Qaddafi, would maintain Libya under his authoritarian rule for the next forty-two years, until his own deposition following the commencement of the Arab Spring in 2011. Under a Nasser-like cult of personality, Qaddafi enacted policies guided by the pan-Arab ideologies of Arab unification, socialism, and the nationalization of the profitable industries, namely oil. Essential to the longevity of Qaddafi’s rule was the robustness of his regime. A regime is characterized as robust if there exists a weak civil society, state control of economic wealth and activities, and a powerful coercive apparatus. These three elements were apparent in the Return. The pervasiveness of tribalism and ethnic cleavages in Libyan society as well as the widespread persecution of opposition groups prevented the formation of a cohesive civil society until the Arab Spring protests. Moreover, the regime’s massive accumulation of wealth by controlling Libyan finances and foreign investment, as evident in the mention of the Libyan Investment Authority, were instrumental in ensuring a powerful coercive apparatus. Emblematic of authoritarian republics, Qaddafi administered Libya as a “police state” through a robust coercive apparatus. Particularly salient within the memoir was the regime’s repression and persecution of political dissidents and opposition groups. Jaballa Matar was a member of the Executive Committee of the National Front for the Salvation of Libya (NFSL), referred to as the “Ajdabiya Group.” His wealth, influence, and resources – especially his military training camps in Chad – posed a serious threat to Qaddafi’s regime. Thus, it was necessary for Qaddafi to neutralize any threat to his beliefs and institutions for the sake of regime stability. The persecution of the “Ajdabiya Group” along with other political dissidents showcase the effectiveness of quashing a unified resistance. In keeping with traditional Libyan society, many opposition groups were created along the salient ethnic and geographical divides. However, Qaddafi indiscriminately and systematically imprisoned and repressed all opposition critiquing his regime. This crucial detail facilitated the creation of networks across the different opposition groups, decreasing political polarization and, thus, creating a unified resistance. Ahmed Rafiq al-Mahdawi, a formerly-imprisoned author, stated of the networks created in prison, “Qaddafi thought he was hurting me. Instead, he gave me dozens of writer friends. I now have a house in every village and town across the country.” The network al-Mahdawi created while imprisoned exemplifies the countless networks forged between political dissidents. Eventually, these networks would give rise to the social movements and revolutionary forces that deposed Qaddafi in 2011. The Return is not just the story of Hisham Matar’s reconciliation regarding the uncertainty of his father’s fate and of his own identity. Rather, as the title suggests, it is the story of countless “fathers, sons” and other family members victimized by the oppressive, authoritarian regimes of Libya and other MENA countries. Matar’s narrative gives credence and voice to the disenfranchised Libyans that lack the influence and capability to demand justice and truth. It is a perfect example of the longstanding effects of authoritarian regimes on an impressionable populace. Not only was Hisham Matar’s life transformed as a result of the Qaddafi regime, but his relative’s lives were affected as well. His cousins Marwan and Izzo died in combat against Qaddafi’s forces and countless of his uncles and cousins were arrested and tortured. Thus, Matar’s family, along with the Libyan populace as a whole, was permanently changed by the oppressive actions of Qaddafi’s regime. Additionally, the effects of Qaddafi’s authoritarianism are ongoing. Since Qaddafi’s ousting, Libya’s government has yet to be hailed a true democracy, and conditions of Libyan society and government have deemed it a “failing state.” The true fate of the Libyan state, like the fate of Jaballa Matar, remains in question. Only a strong civil society and robust government institutions will ensure the true democratization of Libya. Until then, remnants of authoritarianism will pervade Libyan society, further impacting the lives of its citizens. Bayat, Asef. Life as Politics: How Ordinary People Change the Middle East. Stanford: Stanford University Press, 2010, 1-18. Bellin, Eva. 2004. “The Robustness of Authoritarianism in the Middle East: Exceptionalism in Comparative Perspective.” Comparative Politics 36:2, 139-157.